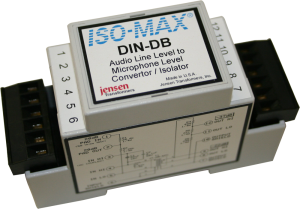 Line Input - Single channel isolator for professional line inputs up to +22 dB.  May be used with any combination of balanced or unbalanced sources or destinations. Screw-down terminals for easy integration. 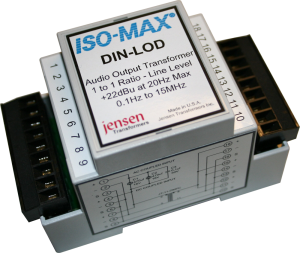 Line Output - Single channel ground isolator for professional line output where a long cable run is required. 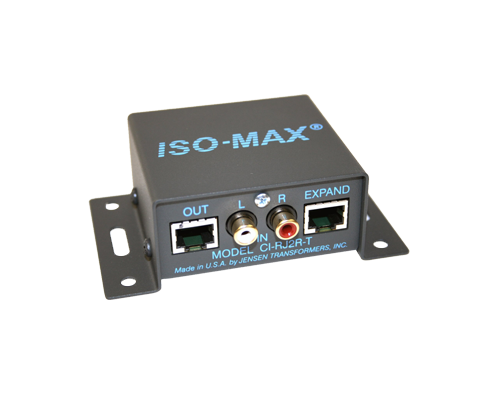 Provides exceptional signal handling at high levels and at all frequencies to 300 meters (1000’) without loss. 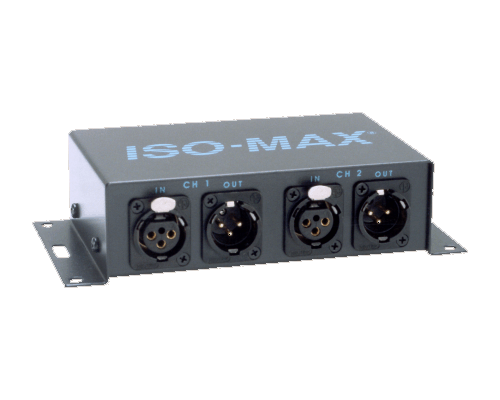 Line Output - Single channel ground isolator for professional line output where a long cable run is required. Provides superior signal handling at high levels and at all frequencies. Line Output - Two channel ground isolator for professional line output where a long cable run is required. 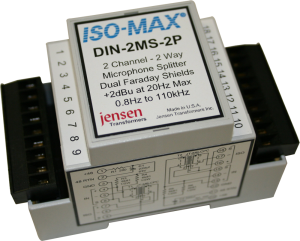 Provides superior signal handling at high levels and at all frequencies.  Universal Isolator - Single channel ground isolator may be used at the beginning, middle or end of a signal path. 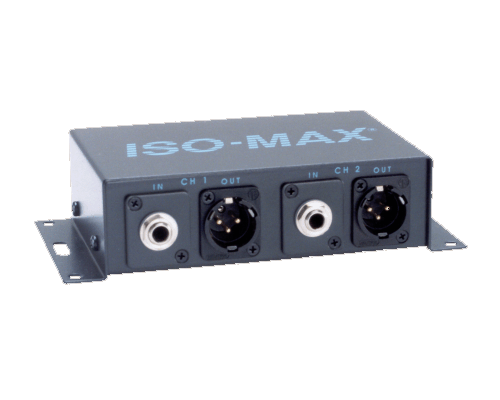 Ideally suited for long cable runs for large scale system integration, broadcast stations and recording studios. 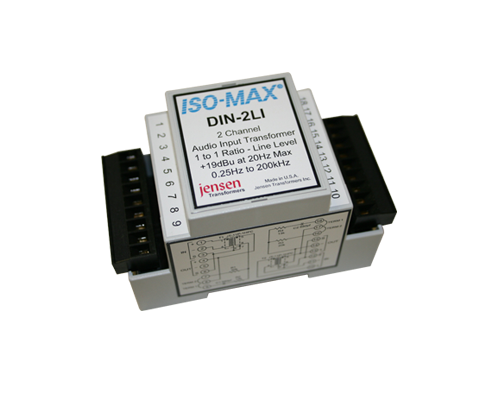 Single channel universal ground isolator for signals up to +24 dB. 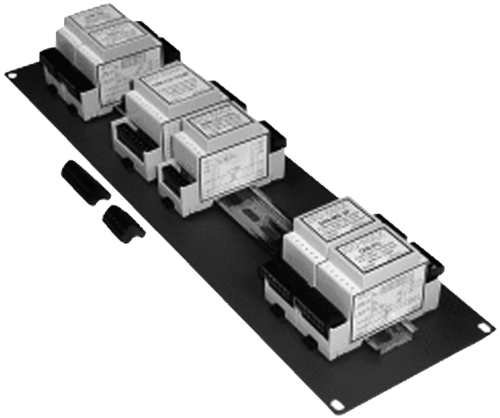 Designed for long cable runs; may be placed anywhere along the signal path for easy integration in large scale systems.  Pro to Consumer - Single channel ground isolator provides isolation as it coverts +4 dBu professional line level signals to -10 dB for use with consumer level devices such as laptop computers and hi-fi systems. Direct Box - Single channel DI box used to convert unbalanced sources such as bass or keyboard to a balanced mic level source for long cable runs.  Gracefully handles transient peaks for a more natural sound. Mic Splitter - Single channel, 2-way microphone splitter with 1-isolated output and 1-direct output. Features dual Faraday shield for low noise. Configurable phantom power management circuit. Mic Splitter - Two channel, 2-way microphone splitter with 1-isolated output and 1-direct output per channel. Features dual Faraday shield for low noise. Configurable phantom power management circuit. Mic Splitter - Single channel, 3-way microphone splitter with 2-isolated outputs and 1-direct output. 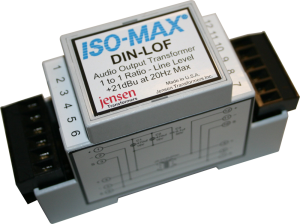 Features dual Faraday shield for low noise. Configurable phantom power management circuit. Mic Splitter - Single channel, 4-way microphone splitter with 3-isolated outputs and 1-direct output. Features dual Faraday shield for low noise. Configurable phantom power management circuit. 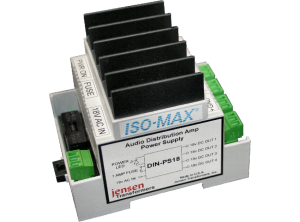 Distribution Amplifier - Active 1x4 audio distribution amplifier features a direct thru-put with three isolated outs to feed four DIN modules without ground loop noise. Adjustable level with up to +13 dB of gain. 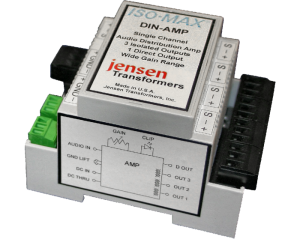 Power Supply for DIN-AMP - Used to power the DIN-AMP. Each DIN-PS rail mounted supply will power up to FOUR DIN-AMP modules. AC power brick is included.